Pretty Nose at Fort Keogh in Montana (1879). Many of us have family lore about an elusive Native ancestor somewhere far back on our family tree. Over the past year in Research Services we have received about a dozen formal requests to search for a Native ancestor and other inquiries over the phone. Often these requests are based on stories passed down through the generations or when DNA results display some Native American ancestry in an autosomal test. As someone with a background in American Indian studies who has worked with Native nations in both New York and Arizona, I often struggle with how to respond to these inquiries in a meaningful way that is both respectful of living Native communities and to the individuals seeking information on whether or not their ancestors were a part of that history. 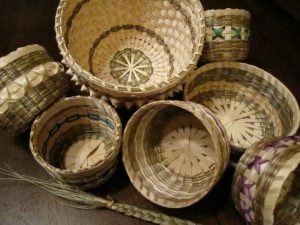 Therefore, I have compiled a few things to consider before you start digging for your Native roots. First, consider your intentions. The desire to identify and document your ancestors’ past is the goal of any genealogist, especially when the goal is to prove a family story. However, you should be prepared to accept the (probable) possibility that your lore about a Native Ancestor is not accurate, as is the case with most with these stories. Second, take an autosomal DNA test. If Native American ancestry is present in your results, it gives you a good indication that you have a native ancestor somewhere in the last 5–7 generations of your ancestry. This means that your research would be worth pursuing, since you may be able to locate a record that could identify your ancestor as American Indian. If your results present no American Indian DNA, you likely do not have a Native ancestor, or it is so many generations removed from you that you are probably not going to find documentation of it. A DNA test is a good starting point to either prove or deny your family lore without you having to do much searching. Baskets from Akwesasne by Meaghan E.H. Siekman. If your DNA test is positive and you would like to begin your search, I would again suggest considering your intentions. In most cases, having Native American DNA show up in an autosomal test will not be enough for membership in a tribe. The DNA also will not tell you to which Native Nation your ancestors belonged. If your goal is legal recognition in a tribe, you will need to contact that nation specifically to determine their requirements for membership. During my tenure in Research Services I have worked on a number of cases where we were able to locate a recent ancestor on the rolls to assist with proof for membership into a few different tribes. In my experience, these ancestors were the clients’ grandparents or great-grandparents, and the clients had multiple relatives who were enrolled members of tribes. In other instances, we were able to identify more distant relatives who lived before any roll existed, but they are identified as being Native in a variety of records. It is not an impossible task to identify these relatives if they exist, though it may require some more creative searching methods. Finally, throughout your research I would encourage you to recognize that Native nations are contemporary thriving cultures and, in most cases, having a Native ancestor many generations back is not the same as being Native. Each nation has its own guidelines for membership in the tribe. Therefore, if your ancestor does not meet the qualifications for membership with a tribe, you can say that you have Native ancestry, but you yourself are not Native. Perhaps another example of this concept is: I have German ancestry, but I am not German. This does not mean that you should not be proud of your Native ancestor/s, but merely a friendly reminder to recognize it as part of your family’s history rather than a contemporary identity. Recognition in a tribe is not always a black or white issue and there are exceptions to this rule, such as instances where one is raised in the culture or on a reservation but does not have other requirements for membership such as a blood-quantum requirement. This statement is not speaking to those circumstances. most people who claim to have need of Ancestry claim it because of several reasons. One, it is because of the guilt some feeble feel over our treatment of Native Americans over the centuries. Second, white people need to say they have need of Ancestry because they find having English or German ancestry is “boring”. For the record, I have need of ancestry, because some of my French-Canadian ancestors intermarried with indigenous Americans in the 1600s and 1700s. But I can actually prove it through the Catholic registers of the province of Quebec. Thank you for a thoughtful and honest post. Thank you for this great article! I’m sharing it with a friend who thinks she might have Native American heritage through her maternal side of the family. She has done a DNA test but thanks to your article, I’ll encourage her to do an autosomal test as well. She’s not looking to join a tribe but is curious about a family picture she remembers seeing that has a woman dressed in Native American clothing. She also had some relatives with Native features. I have a woman ancestor some 14 generations back who may have been Native American. The name in the records is ‘Mary White’ which may have been her Christian name given to her when she converted. 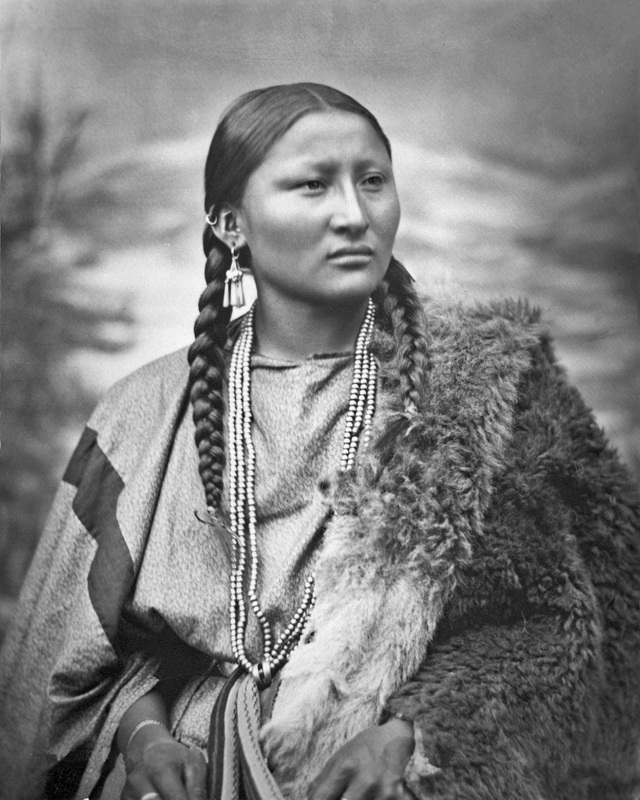 Some records say she was white, some say Native American; several sources say that at this point in time it is probably impossible to state for sure, unless new records are found. No hope at DNA at 14 generations back, either. I’ve pretty much resigned myself to not knowing. If you intend to try an autosomal DNA test, I recommend asking a sibling to do one also, as it gives a better perspective on your ancestry. My brother and I did the “Family Finder” autosomal DNA test and had different results for percentages of certain nationalities. In my case the English/Irish part (which should have been about 50%) had dropped out completely. This is probably because at each generation only half of the chromosomes are passed on to each child, and my English/Irish markers were lost, but my brother’s were not. This is a very interesting and certainly practical minded piece. Although a DNA test identified a small percentage of Native American in my ancestry I have no idea where it actually came from. It could have been through my French Canadian ancestors in Quebec or it could have been through my great great grandmother in California. I have chosen not to pursue the matter and have always taken the road Meaghan has recommended in her worthwhile article. Interesting post, but the info about the DNA test is misleading. Due to the fact that not every child inherits every gene from his parents, etc., it is quite possible for a sibling or a first cousin to have Native American (or any other) DNA markers when another one does not. The fact that you do not have a particular type of DNA does not mean that you do not have an ancestor with that heritage; it simply means that in the gene lottery, you did not get those particular genes from great-grandma, or whoever it was who had that ancestry. That is why old fashioned genealogical research with documents and cluster DNA testing of several siblings or other relatives is more helpful for determining your actual heritage. Due to recombination dynamics at conception, child A may have a different genetic inheritance than child B, etc. it is not the genetic inheritance that happens ‘from the every gene in the parents’ but a ‘roll of the genetic dice’ of SOME those 2 parents ancestors. Not all ancestors of either parents. Genetic DNA can and does ‘unscramble’ in the father to his son and then re-scramble during recombination when the father’s daughter is born, thus the father and son do not have the genetic ‘combination’ to detect the distant cousin match, but the daughter has the correct genetic combination. And ONLY through the father, has this genetic combination flow down to the daughter from his paternal grandmother, through his genetic father, from the paternal grandmother’s mother’s mother, and her ancestors. I agree, first and foremost, genealogical paper trail is the first step. Too many people are doing genetic testing and don’t know a thing about working with the results of their testing. Testing first, and asking lots of questions first. Thankfully, Blaine Bettinger’s got a book out in October of this year (2016) for FTDNA users. I highly recommend using both FTDNA and AncestryDNA in conjunction with one another when doing genetic testing. Especially for NPE dynamics in a family as well as adoptee’s looking for birth kith and kin. I’d also like to strongly recommend that people read Kim Tallbear’s book “Native American DNA”. Thanks so much for the recommendations! I hadn’t heard of Kim’s book, and will also look for Blaine’s book this month. Excited! My kids didn’t understand why they didn’t get the same results, and weren’t really interested in details. so I explained it this way: one of you got mom’s left half and dad’s right half. one got mom’s top half and dad’s left half. one got mom’s left half and dad’s top half, etc. Simplistic, but it got across the general idea. Does anyone know of a test that can identify different nations? I saw on Dr. Gates’ tv show that there is one that just came out, but cant recall if he said who was doing it….I’m curious, as one grandson has Native heritage from at least 5 different Nations. We do have the paper trail on them all, at least from the time they married into French and Spanish families, but would like to see more! An interesting note: my children and grandchildren can ‘prove’ they’re Zuni/Hopi because they are all born with a blue patch at the base of the spine. Apparently this is a Chinese trait, just one of several that show there was early Chinese immigration to the Southwest U.S. There’s also a dental and a kidney anomaly that they share with Chinese. Looks like a bruise, so we have photos taken for medical records to verify no child abuse! But it does come from Zuni and some Hopi. What an odd thing, I always think, but it’s there! My thoughts exactly. My MIL shows 1.5% Native American DNA – all 4 of her grandparents came from either Germany or Sweden. Meaghan, I was wondering what your thoughts are on oral tradition. I have just read a book on Pocahontas which claims to be based on the ‘sacred oral history’ of the Mattiponi Tribe. There are many people who are basing their genealogy on the oral history that Pocahontas has a child with her first husband Kocoum. What if any part does oral tradition play in genealogy? .Love the title! Cant tell you how many people I”ve run into who claim to have Native ancestors—but every darned time, it’s a princess. How many princesses there must have been! 😉 I’ve even run across a few genealogies on ancestry who list a woman’s name as “First: Una, Last: Sauvage” (loosely, French for ‘an Indian’). What a hoot! My daughters have several Nations in their background: Hopi, Zuni, Picarus and Sandia are the closest in time. So, having tried to find records, I know how difficult it can be. Back in the late 1980s, I wrote to the Hopi council asking if they could help any, as I knew their Hopi grandfather’s Spanish surname. They explained that they didn’t have any old records, but would I send photos? I did, and got back the reply “yes, they’re ours”. I’ve more recently had great success with the Great NM Database Project. You can find it here: http://www.hgrc-nm.org/surnames/surnames.htm as well as “Origins of New Mexico Families” by Fray Angélico Chávez. Was even able to verify a family story that a Spanish ancestor fell in love with his Native slave girl and married her! Unfortunately, there’s no way to find out her real name, as she is listed in the Catholic records under her Christian name, Maria. I have also found my son-in-law’s Ojibway ancestors in the Catholic records in Quebec. Again, no Native names, but their baptisms and marriages are recorded. I do see two huge issues with Native genealogy. One, it appears that there is little or nothing being done beyond the Cherokee Rolls. I know they didn’t keep many written records, but surely there are other ways to collect information. I’m hoping progress will eventually come, as is happening with African slave families. Second, I’m having a lot of trouble understanding why all DNA from the entire western hemisphere is lumped into one. There were several influxes of people to the Americas, at least two over the land bridge and several smaller ones across the ocean. So surely there is at least as much difference between an Inuit and a Brazilian as there is between a Frenchman and a German. This makes no logical sense to me. Thanks for a great article! I really enjoyed reading it, and am glad you brought up the reasons people are looking to trace those roots. We needed to hear that ! Thanks to Andrew Jackson the old records were burned. Many Indians changed their names to Christian names when they married European settlers. So it is difficult to trace. I’m suppose to be Choctaw 1/32 according to my Grandmother. 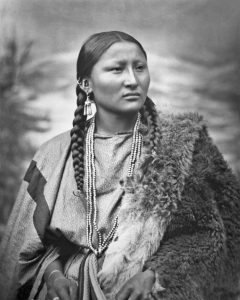 Wrote to the Choctaw in Oklahoma & she said that unless your relative was in the roll call of the Trail of Tears it was difficult to find records. She also thought I was searching to get welfare! NOT. JUST INTERESTED IN MY HERITAGE. is there a DNA test for Indian heritage????? ?